Another Friday night working away from Kalamazoo means another Friday night I get to find a pizza place in a small town. My co-worker and I spent the day in South Haven on Friday…tough assignment, right? Anyway, that meant I wouldn’t be getting home until closer to 8:00. J had already ordered a pizza from Hungry Howie’s for her and the kids. That would have been fine if I was closer to home, but since I was going to be late and I was passing pizza places I’ve never been to, I decided to bring home my own pizza. For years now we’ve been driving to South Haven using M-43. The only town between Kalamazoo and South Haven we have to slow down for is Bangor. M-43 runs right through their main business district which has a few restaurants and shops alongside the very busy highway. On the east edge of town is a non-descript white building that has piqued my curiosity for a long time. It looks like it’s been around for quite a while and if that’s the case, it must be hiding something good. 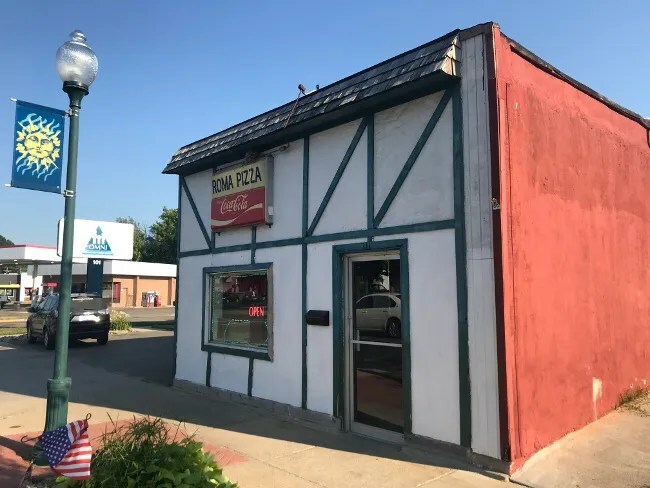 Roma Pizza is on Monroe Street, or M-43, just to the west of Walnut Street as you enter downtown Bangor from the east. The boxy building isn’t much to look at it. It appears that it was connected to another building which then connected to another and so on at one time, but now it sits between a grassy lot and a credit union. There is parking on the street along M-43 but there’s also a lot behind the building and a sidewalk that leads to the front door. 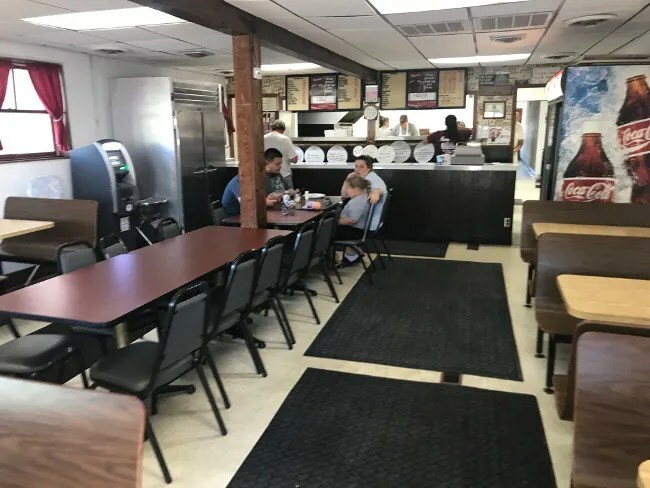 I called in my order from the beach in South Haven thinking by the time I got gas and got back to Bangor, that would give them enough time to make my pizza. I was a little shocked after I put in my order for a 14″ pepperoni that the woman on the other side said it was going to be 45 minutes. I kinda stumbled through an “OK” and slowly made my way back to Bangor to wait. 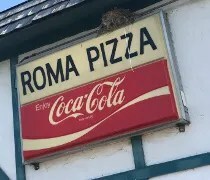 I always assumed Roma was a carry-out only place. The building doesn’t look that big, but there is a sizeable dining room as you walk in the door. The order counter is near the back of the space. There, a series of old letter boards hang with the menu. 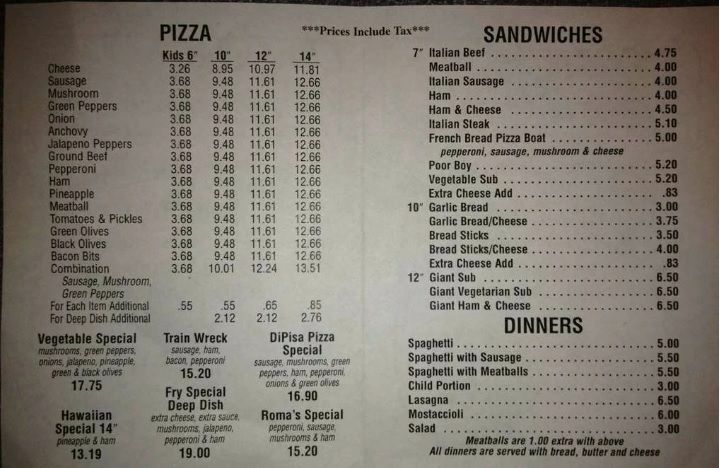 I was surprised to find more than pizza on the menu. There is also a selection of sandwiches and pasta dishes. The seating is a series of laminate booths and long tables and chairs. As with a lot of things in this store, the furniture is dated but they don’t need to update to keep the customers coming in. 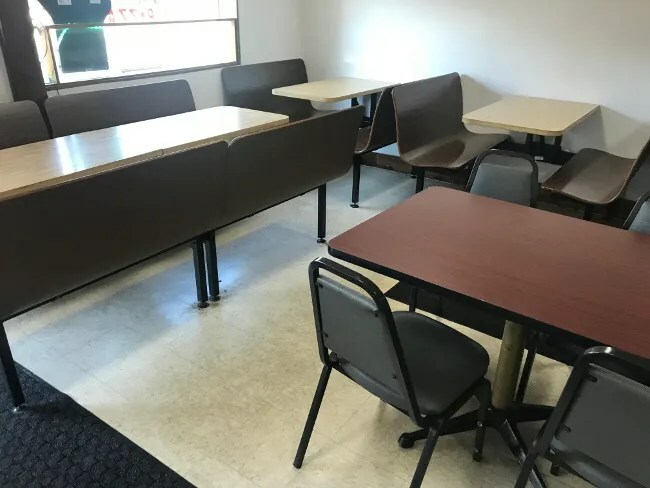 No one cares about how new the furniture is when you’re cranking out tasty pizza. I walked in about 40 minutes after I ordered. My pizza was just coming out of the oven and being bagged up. The cost was a little over $13 and Roma is cash or check only. They don’t accept credit cards but they do have an ATM machine in the corner if you weren’t aware of that when you walked in the door. I waited until I got home to even look at the pizza. The kids saw me walk in and, of course, they wanted a slice. The two of them ate almost a whole medium pepperoni pizza from Hungry Howie’s but now they wanted some of mine too. 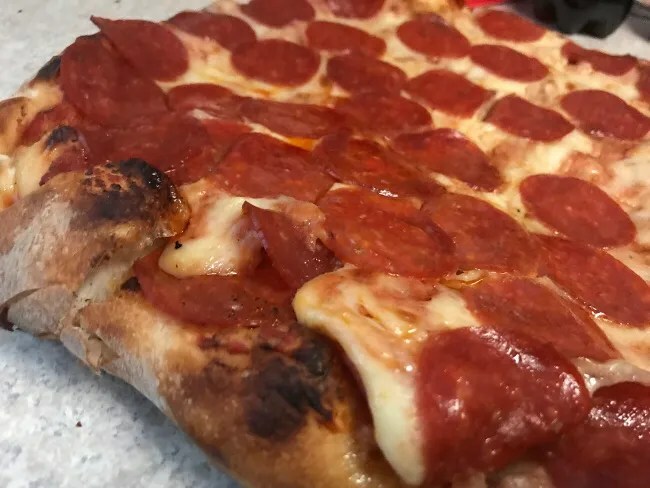 The pizza from Roma in Bangor is pretty darn tasty. I was watching guys hand toss the crust as I was picking my order up. This pizza had a great crispy edge to it while the middle stayed soft and pliable. 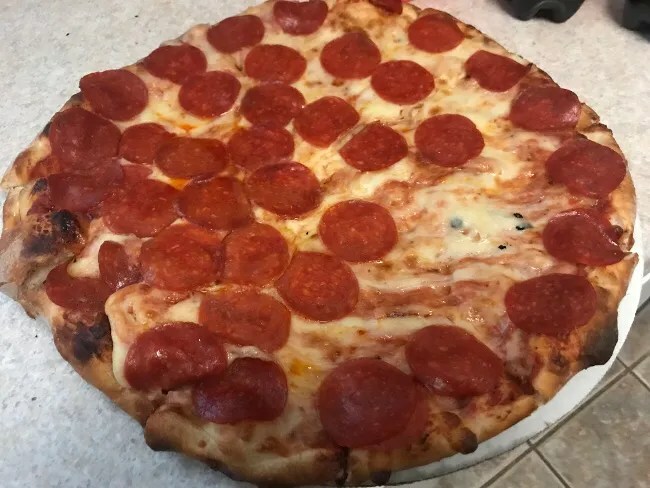 I think the toppings shifted quite a bit on my drive home as one side was very heavy on cheese and pepperoni while on the other side, the cheese was just kind of hanging on. The cheese had all melted back together after the pizza had been cut too. I could tell where the crust was cut, but when I picked up the first few slices, the cheese came off and stuck together. I got out my pizza cutter to reemphasize where the slices were and to keep the pizza together the way it was supposed to.